2 Pack Egg Beats Speaker Dock For iPhone 4&5 Only $9 Shipped! You are here: Home / Great Deals / 2 Pack Egg Beats Speaker Dock For iPhone 4&5 Only $9 Shipped! Here is a fantastic deal to grab and tuck into the kids Easter Baskets this year! 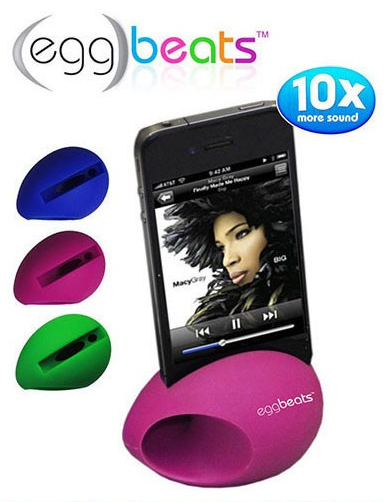 2 Pack Egg Beats Speaker Dock For iPhone 4&5 Only $9 Shipped! Get them shipped to your door for only $9! Grab this and other hot deals every day at Maxwell’s Attic!